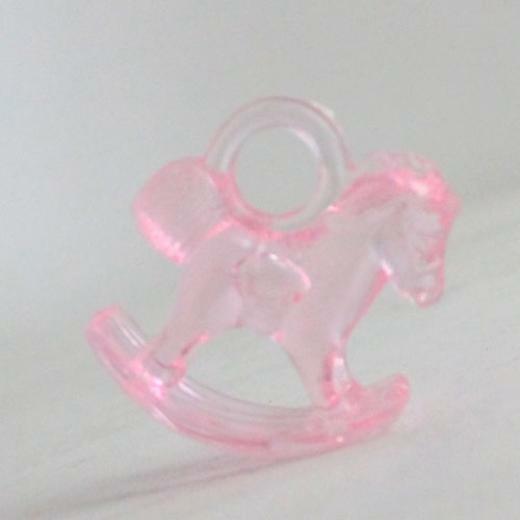 1 package of 12 Baby Pink Rocking Horse plastic charms. Each adorable charm features a pink rocking horse with loop. Plastic charms are great for decorating tables, favors, wreaths, Capias, jewelry, scrap-booking and crafts. See our full selection of plastic charms, party favors and gift supplies. L: 4.0 in. W: 4.0 in. H: 1.0 in.